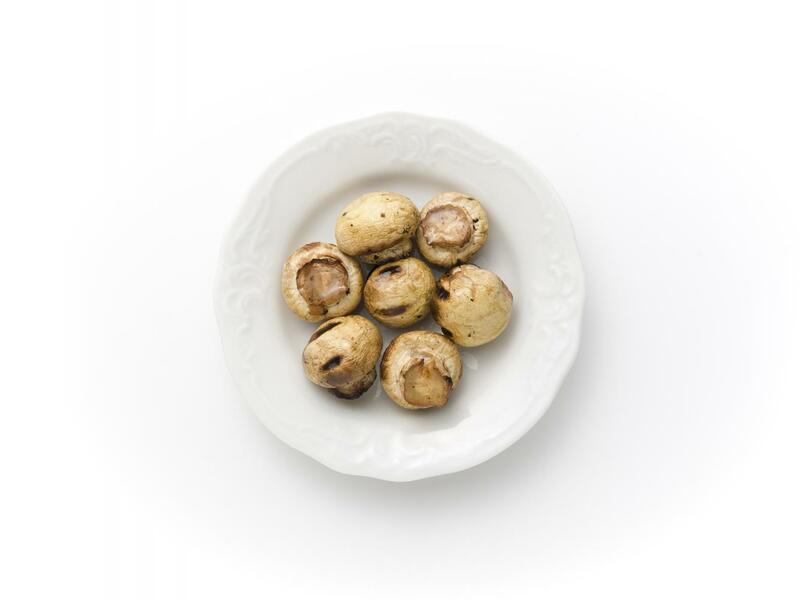 Grilled Agaricus mushrooms, sunflower oil, garlic, salt, oregano. Typical of grilled mushrooms with a hint of oregano and garlic. Beige to grey with green and white in the garnish.